Casavvy has teamed up with CreditCards.com to offer you the best 0% APR Credit Cards. 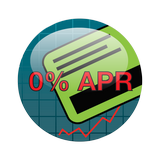 Zero-percent APR credit cards allow people to make purchases and pay off those purchases during a fixed introductory period of time without paying any interest. After the introductory period, you will have to start paying interest on whatever balance is left over. Are you ready for 0% interest? 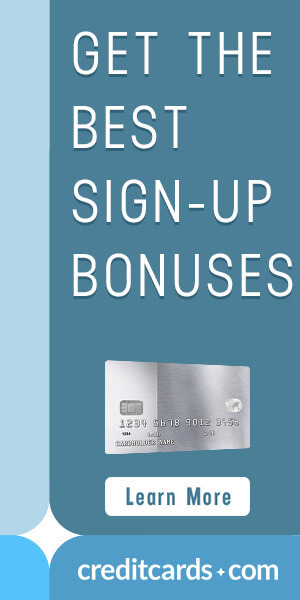 You can find the best options, for all major credit card brands, for 0% APR Credit Cards through our partner site, CreditCards.com, with the offer below. Let a balance transfer card reduce your monthly payments and get you closer to being debt free. Find the best options, from all major credit card brands, for Balance Transfer Credit Cards through our partner site, Creditcards.com, with the offer below. Get the most out of the money you are spending for your business. Find the best options for Business Credit Cards, from all major credit card brands, through our partner site with the offer below. If you think a 0% APR credit card is the best credit card offer for you, make sure you pay close attention to the length of the 0% APR introductory period. This period may vary, but most introductory rates last at least six months and sometimes as long as 18 months or more. Of course, you should never make a purchase you cannot afford, but if you know a large purchase is coming that you would rather pay over time, you might decide that zero percent APR credit cards may be the best credit card offer for your situation. Many people who encounter sudden medical, homeowner, or vehicle expenses choose a low APR credit card or zero-percent interest card so they can pay off the costs in the span of several months without paying interest. Whether planned or unexpected, a 0% APR credit card may be the perfect option for you. 0% APR cards make paying for something over time cost the same as it would as if you paid in full the day you made your purchase. After the intro 0% APR period ends, you can be sure that the interest rate you will pay will not be worth it and will end up costing you a lot more in the long run than what your original purchase was. Be sure that you understand how long the 0% APR period is and come up with a plan to make sure you have your entire balance paid off by then. If for some reason you find that you cannot pay off your balance in full by the time the 0% APR rate is going to expire, then another option you may have is a balance transfer credit card. These cards allow you to transfer over an existing balance and gives you another 0% APR period to pay it off. Casavvy helps customers review 0% APR credit cards from leading lenders online, with side-by-side user ratings, reviews and information. Make an informed choice and get the best 0% APR credit card offers for you today!